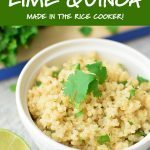 Cilantro Lime Quinoa is a simple, easy and totally delicious side dish made using quinoa instead of rice. Only 5 ingredients required! 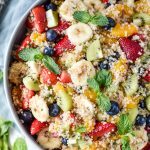 Instructions included for cooking quinoa on your stovetop, in your rice cooker, or your Instant Pot! 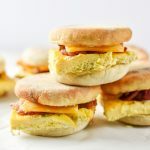 We’ve all seen those articles – “12 Kitchen Hacks to Save Time” or “The Only Kitchen Hacks You’ll Ever Need”, etc. And let’s face it: around 50% of those tips you already know, and 40% look like they might actually take more time. But then there’s the other 10% you actually want to try. For me, making quinoa in a rice cooker was always in that 10%. So I tried it, and it’s awesome. So awesome that I added some cilantro, lime, and turned it into The Easiest Cilantro Lime Quinoa. The first time I tried making quinoa in the rice cooker, I thought I was truly performing some kind of “kitchen hack”. Turns out, the quinoa we use actually provides instructions for cooking the quinoa in a rice cooker. I’ve since decided it’s not really a hack, just how anyone with a rice cooker should always cook quinoa. Besides, it’s SO MUCH easier. 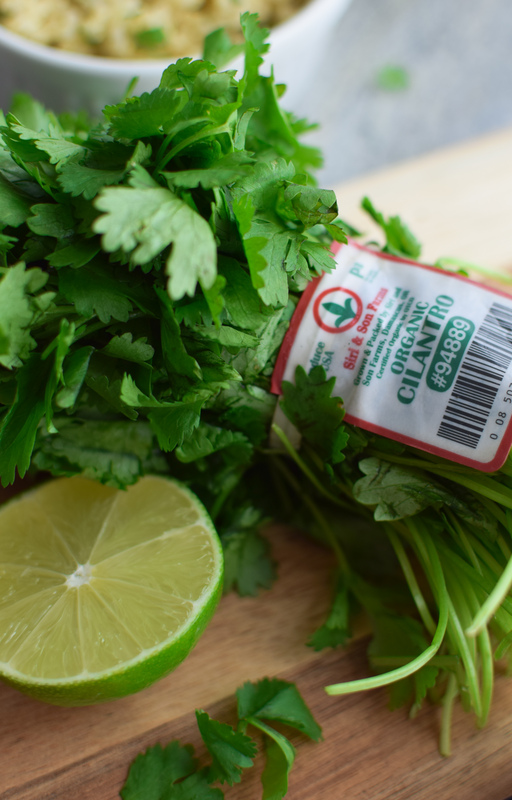 Hence the name, The Easiest Cilantro Lime Quinoa. In search of ways to save even more time while cooking quinoa, I had to ask myself if rinsing the quinoa before cooking was a real requirement. I always thought you were supposed to rinse the quinoa, but I had to know if it was truly necessary. It’s basically 2 to 3 minutes sooner that I could be eating the quinoa, right? 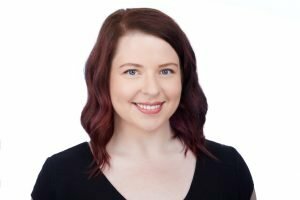 As normal, I looked to the internet and found this incredibly informative article called Do You Really Need To Rinse The Quinoa Before Cooking It? by Christine Gallary. Christine actually goes to the trouble to side-by-side taste test the quinoa with and without a pre-cooking rinse. According to Christine, rinsing does affect the texture and flavor of the quinoa, but it’s really a personal choice. Check out her notes to see what you might prefer. I also learned boxed quinoa is sometimes pre-rinsed, so you might be able to skip the step without worry. 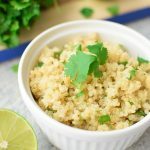 Cilantro Lime Quinoa is a simple, easy and totally delicious side dish made with quinoa instead of rice. 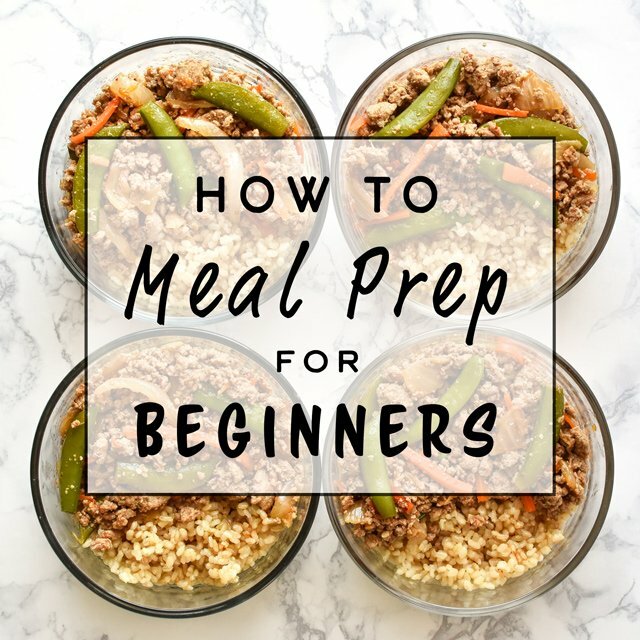 Instructions included for cooking quinoa on your stovetop, in your rice cooker, or your Instant Pot! Rinse your quinoa for a few seconds in a fine mesh strainer, if you desire. Cook quinoa in a medium saucepan according to the package directions, substituting chicken broth for water at a 1:1 ratio. When quinoa is cooked, fluff it with a fork and let it cool for a few minutes. 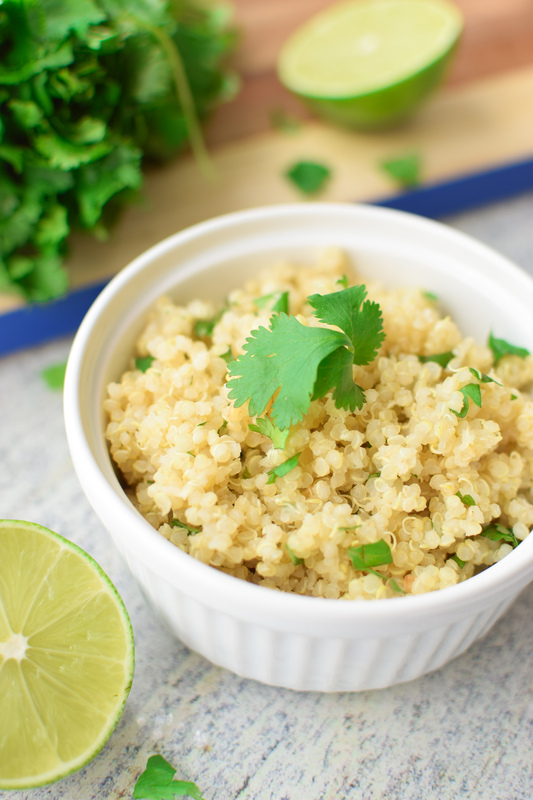 Combine the quinoa in a medium bowl with the garlic, lime juice, cilantro and salt. Mix well and serve hot. Store covered in the refrigerator for up to 4 days. Rinse your quinoa for a few seconds in a fine mesh strainer, if you desire. Use coconut oil to grease the inside of your rice cooker bowl. Add quinoa and 2 cups chicken broth to rice cooker, close lid and set to “rice” setting (I use the brown rice setting). Use coconut oil to grease the inside of Instant Pot cooking insert. Add quinoa and 1 1/4 cups chicken broth to the Instant Pot. 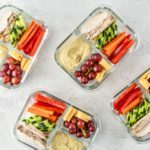 Jiggle the Instant Pot insert to make sure all the quinoa is covered with water. Place the lid on, make sure the steam release is Sealed, and set the Instant Pot to Manual or Pressure Cook for 1 minute. When it’s done pressure cooking, let the steam naturally release for 10 minutes, then hit the quick release valve. The quinoa will continue to cook during this time. After the float valve has gone down, remove the lid and fluff your quinoa with a fork. Let the quinoa cool for a couple minutes. 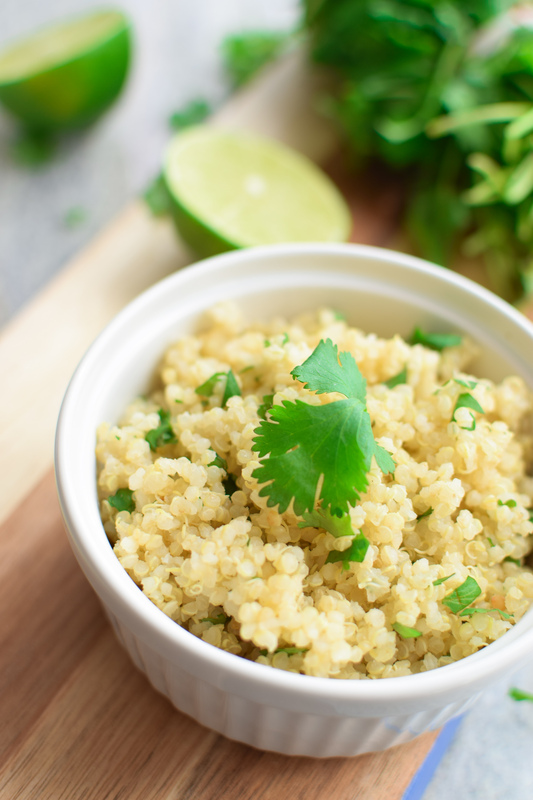 Combine the quinoa in a medium bowl with the garlic, lime juice, cilantro and salt. Mix well and serve hot. Store covered in the refrigerator for up to 4 days. Basic instructions for cooking quinoa in a rice cooker can be found here. 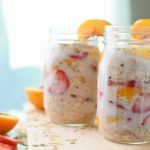 Basic instructions for cooking quinoa in an Instant Pot can be found here. 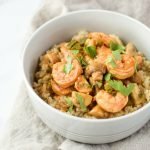 Recipe inspired by Serena Bakes Simply From Scratch – Cilantro Lime Rice. Nutrition information estimated with My Fitness Pal. 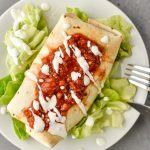 Hope you enjoyed this Cilantro Lime Quinoa!! If you made it, be sure to tag me on social media so I can see how you made it!